Gold Coast Explorer since Jan 2010. Always on the lookout for fun, family things to enjoy with my four kids. 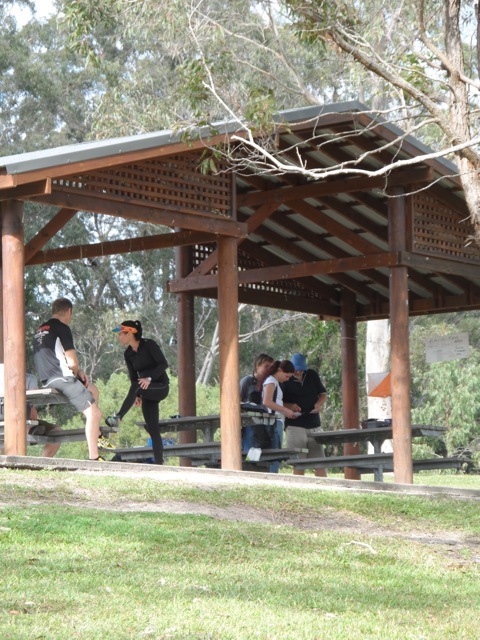 Orienteering is back on the Gold Coast with a series of classic style park events, scheduled from July 2013, through to the end of the year. 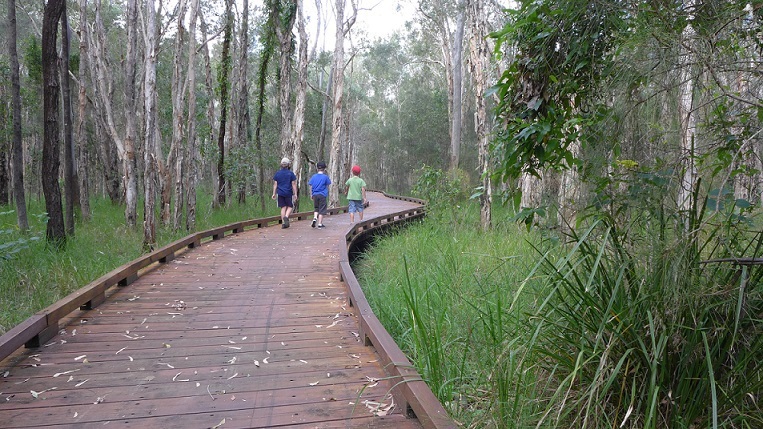 They take place monthly and navigate their way around parks such as Coombabah Lakelands, Musgrave Park, Pizzey Park, Eddie Kornhauser Park, Schuster Park and various school campuses. New areas are also being mapped by Mark Roberts. He's taken up the challenge of reenergizing the lately dormant Paradise Lost Orienteers orienteering club and is the driving force behind its resurrection. Everyone is welcome and all levels are catered for. Beginners, families with children and experienced orienteers will all find something to challenge them. There are long and short courses and sometimes a mid range one too. 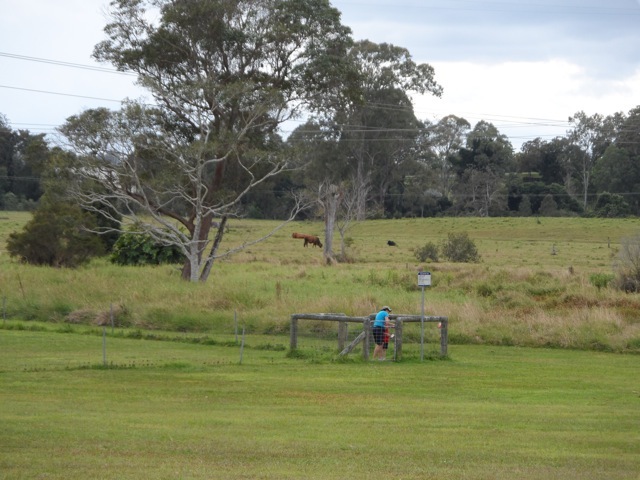 The first of the series was held at Hinterland Regional Park (Mudgeeraba) on Sunday 14 July, 2013. The short course covered 1.9km and the long, 3.4km. It was all on the flat. You could tackle it singly or in a group. It's a great activity to get out and do with your kids. It challenges your mind while exercising your body, in an outdoor setting. Key items to remember are simply: runners, water and change for the small fee (costs are: Junior $5, Senior $7 and Family $20). A hat and sunscreen are encouraged, the website also mentions carrying a whistle. Mark's reply when asked about the minimum level of fitness was "you must be able to climb a fence but not at park events". You can be as competitive or non competitive as you like. When you arrive, you will see signage like the one in the photo and a registration table. Head over and sign in, pay the fee and then you will receive a map and control card plus control description list. 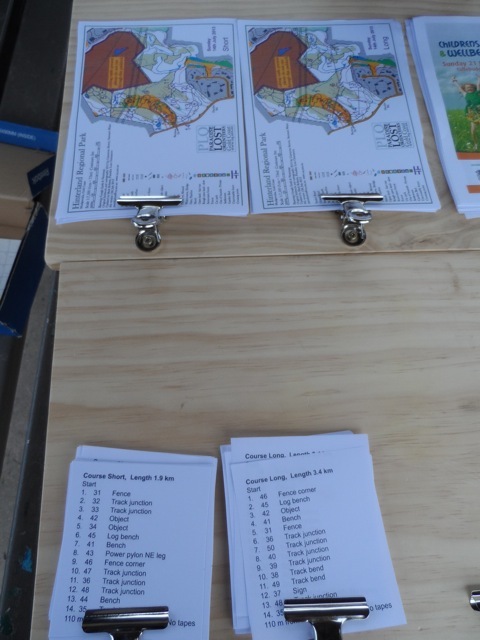 On the reverse are boxes for clipping your check points which will show you have found the correct check points around the course. If you are a beginner, you don't need a compass to find you way. If you have one, bring it or borrow one at the event if you are keen to learn more about compass skills used in orienteering. 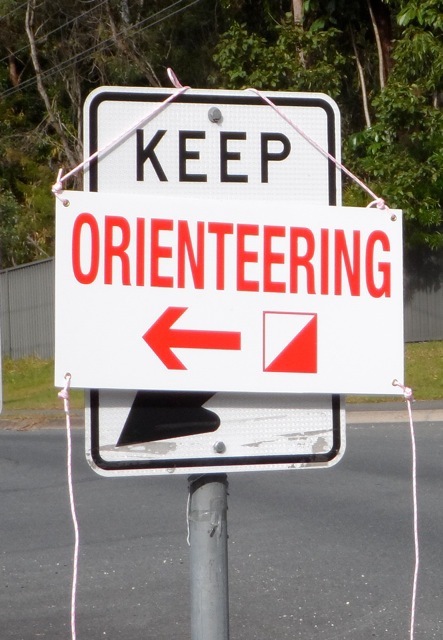 For more information visit the Orienteering Queensland website. You will be guided to the start and now the fun begins. The idea is to find your way to the check points, in order, by looking at the map and reading the control point description. The spot is marked by an orange and white triangular marker, which also has a clipper there to mark your card and verify you have visited the point. You can run between the points or walk; it's up to you. Just remember to report to the finish even if you don't complete the course. That ensures the club doesn't waste time scouring the area for you at the end, when you are back home on the couch and not lost in orienteering action. For more information, also on mountain bike orienteering, contact Mark Roberts on mark@markroberts.id.au , 0404 50 99 24 or visit the Paradise Lost section of the Orienteering Queensland website. You can take part in events without joining the club, just to try it out and then join later when you get hooked - your fees will then be cheaper too. If you have been looking for something different to do with your kids, as a fitness activity or just fancy something more than a walk in the park, contact Mark and give orienteering a go. 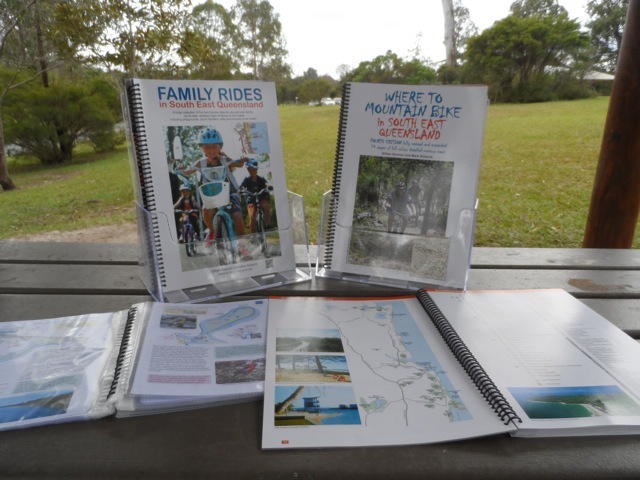 You can also ask him about his books, titled "Family Rides in SE Queensland" and "Where to Mountain Bike in SE Queensland" which are packed with maps and information that will leave you keen to get out and be active with your family. Looking forward to the next event at Coombabah Lakelands! Starts from 9am, Sunday 8th Dec 2013. This PLQ Introductory Event offers courses intended for families trying orienteering for the first time. This area is bushland instead of parkland so more challenging courses will also be offered. See you there for the last event for 2013! 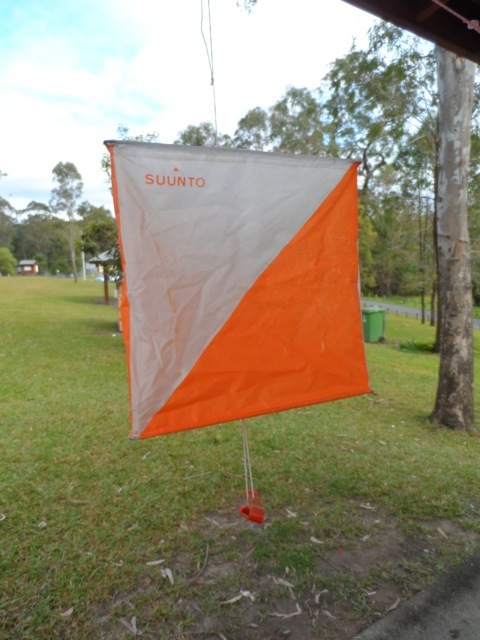 Orienteering tomorrow at Schuster Park, Tallebudgera! Paradise Lost Introductory Park events are especially intended for families trying orienteering for the first time. This event is largely in open parkland; the courses are relatively easy. See you there! 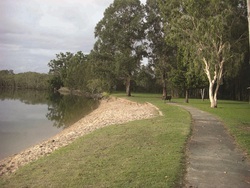 — at Schuster Park, Tallebudgera.